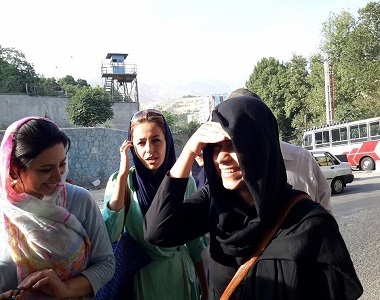 HRANA News Agency – Maryam Shafipour, political prisoner in the women’s ward in Evin prison, was released. According to the report of Human Rights Activists News Agency in Iran (HRANA), Maryam Shafipour was released after serving two years imprisonment. Mary Shafipour, 27, student of agricultural engineering undergraduate at the University of Khomeini, the International University in Qazvin and active member of the Women’s Committee of Mehdi Karroubi’s presidential elections campaign in 2009, was arrested on 27th July 2013, and was held in temporary detention for more than seven months. The student activist was tried in Branch 15 of the Revolutionary Court, presided by Judge Salvati on charges of collusion and gathering against national security and propaganda against the regime, and was sentenced to seven years imprisonment and later Branch 54 of the Tehran Appeal Court after reviewing this case, reduced this political prisoner’s sentence to four years imprisonment.